Caldera’s well-established production tracking tool, StreamLive, is now integrated with Aleyant’s flagship web-to-print software, Pressero. Users of Pressero, already among the most comprehensive systems of its kind, stand to gain the renowned benefits that Caldera software offers by combining the solutions. The integration will be available beginning February 1, 2018. Aleyant Pressero™ is an affordable, approachable, cloud-based B2B or B2C online storefront solution that can be customized with ease to suit the preferences of users and their customers. 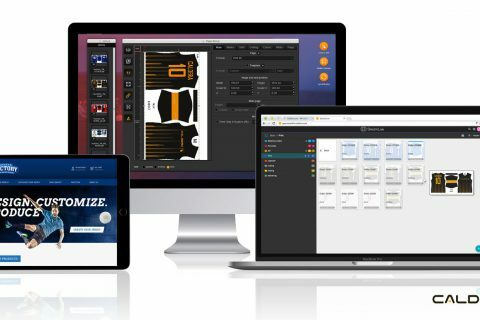 Pressero powers some of the most advanced cloud-based websites, stores and portals for digital, commercial, wide format and specialty printers and distributors. SaaS application Caldera StreamLive has production tracking capabilities that allow users to create customer job sheets, submit files to the workflow and follow projects in real time via the cloud. The solution’s built-in interoperability with other software makes it the perfect candidate for integration with a web-to-print system of Pressero’s caliber. 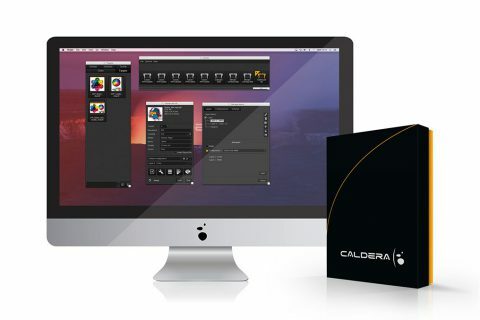 With Pressero’s web-to-print storefront seamlessly feeding Caldera StreamLive with online orders, user’s will benefit from enhanced productivity, error-correcting capabilities that will reduce mistakes, and a huge time savings resulting from this automated workflow. production technologies and applications. It includes a Zapier account for connectivity to over 900 apps.